High School Students: David G. Hall, MD, Memorial Scholarship: The MAFP Foundation Board of Trustees established the David G. Hall, MD, Memorial Scholarship to award scholarships to seniors in schools across Mississippi interested in pursuing a career in the field of medicine. Our foundation will donate up to $500 for scholarships to Mississippi seniors during each academic school year. Family Medicine Residents: Dewitt G. Crawford, MD, Scholarship to Attend MAFP Annual Meeting: A generous financial endowment was given to the MAFP Foundation in Dr. Dewitt G. Crawford’s memory by Mrs. Dewitt G. Crawford to fund a scholarship to that a deserving resident can attend the MAFP Annual Meeting each summer. One Dewitt G. Crawford, MD, Scholarship will be awarded each year to a deserving resident who best demonstrates the character qualities of: (1) leadership gained through life experience in their job, education, and/or service or volunteer opportunities, and (2) shows a commitment to future involvement as a leader with the MAFP. All completed applications must be submitted to Kay-Lynn Meador no later than May 1 of each year to be considered. Each year, the AAFP hosts a National Conference for Residents and Medical Students to learn more about family medicine, explore residency programs, and connect with potential employers. The event features workshops, musculoskeletal clinics, procedural skills courses, and sessions about applying to residency. The next conference is August 2-4, 2018, in Kansas City, Mo. The ‘Family Medicine Leads’ Scholarships are provided by the American Academy of Family Physicians Foundation. In 2017, 250 of these scholarships were awarded. Winners attend National Conference. All scholarships are made possible by the donations of family physicians across the country. See information below on how to apply. 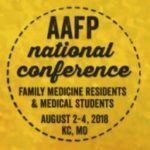 The MAFP Foundation provides scholarships to students to attend the AAFP National Conference for Residents and Medical Students. MAFP Foundation will reimburse up to $1,000 in conference travel expenses. Students are encouraged to apply for BOTH scholarships. Winners will be notified prior to the conference early bird registration deadline. 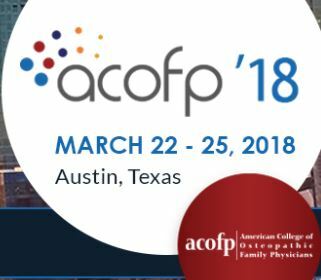 Join osteopathic physicians, residents and students from around the country at ACOFP’s annual convention. The MAFP Foundation provides scholarships to students to attend the ACOFP annual convention. MAFP Foundation will reimburse up to $1,000 in conference travel expenses. Winners will be notified prior to the conference early bird registration deadline. 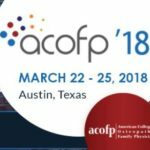 Applications are no longer being accepted for the 2018 ACOFP Conference. Deadline to submit applications for the 2019 conference is Feb. 1, 2019. FREE AAFP/MAFP MEMBERSHIP FOR MEDICAL STUDENTS: Student members are one of the MAFP Foundation’s greatest assets. To help cultivate future members and leaders and to encourage student interest in family medicine, the American Academy of Family Physicians (AAFP) provides student membership at no cost to medical students. This free service includes membership in MAFP. Students may join during any year of medical school. Please note that you must be a member to apply for these MAFPF scholarships.